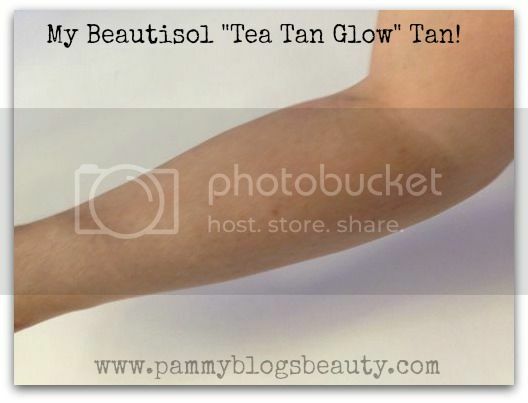 Pammy Blogs Beauty: Beautisol's Tea Tan Glow Tanner: Where has this product been all my life? LOVE! Beautisol's Tea Tan Glow Tanner: Where has this product been all my life? LOVE! Every once in awhile I stumble upon a product that really blows me away. That is what happened with Beautisol's amazing Tea Tanner!!! I love it!!! It is a product that is totally unlike anything else that I have tried. No longer will I have to worry about blinding people with my stark-white legs when I wear shorts, lol! "What is it?" and "What does it do?" I get a lovely natural tan-like tint from the Tea Tan Glow. My skin looks darker and tanner. Actually, the color is so nice! Much nicer than the color that I get from self-tanners (that tend to be too orange or too yellow) and nicer than the "tan" I get from the Sun (Really, I just turn red and burn. So, I never even tan in the Sun anymore. The Tea Tan Glow tan is just that...TAN! It is a brown-based tan color. Think the color of "tea"! :) One coat gives me a light tint and two coats gives me more of a "tan". I apply Tea Tan Glow to clean and dry skin. I just pump some out on the Beautisol application mitt (this thing rocks, by-the-way) and smooth it over my skin. This light foam literally dries in seconds! Plus, it has the most amazing and slightly perfume-y fresh scent. I really enjoy the scent!!! Beautisol's Tea Tanner tints your skin with natural tea extracts! Why is it better than a traditional self-tanner? While I do love self-tanners, I don't always want to plan ahead with my self-tanning. Self-tanning results are not instant. So, if I want a self tan before an event, I need to tan the night before. With Beautisol's Tea Tan Glow, I can tan right before I head out the door! Plus, this tanner/body tint washes off in the shower! :) Also, I think that the color that I get with the Tea Tan Glow is so beautiful and natural. Honestly, I have never gotten color this good with a self-tanner. Also, you can layer Tea Tan Glow over self-tanner! If you want to deepen a self-tan or make a self-tan look more natural or more even...just apply some Beautisol Tea Tan Glow! Use the application mitt! It really makes the product easy to apply! You can apply a body lotion to areas like your elbows, knees, and ankles to keep those areas from absorbing too much color. You might not want to swim or work out heavily while wearing this product. Water and sweat will make the product run. You may want to avoid wearing light colors as the product may rub off on them. With that said, I really have not had any trouble with the product transferring (and I sleep in white sheets!). As ya'll can tell from my review, I totally love and adore this product!!! I can now tan instantly! Having a lovely and natural looking tan from the Tea Tanner really helps improve how I feel about myself when wearing short skirts or shorts! Sure, I embrace being fair-skinned. However, I just love the effect of the soft and natural Tea Tan! 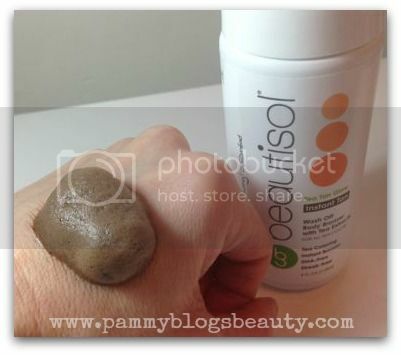 I just reviewed Beautisol Tea Tan glow too! I'm so addicted to Beautisol self tanners. They are the only ones that don't bother my sensitive skin. @Angela-I am addicted, too! :) Totally agreed. Beautisol's tanners are amazing!! !